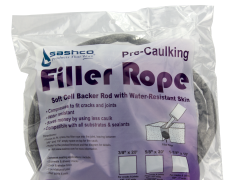 Pre-Caulking Filler Rope™, backer rod, Grip Strip – sounds boring, right? All of these products fill your caulking joint so you use less caulk and have a perfectly designed joint that stretches properly day in and day out. Boring? Perhaps, but better than redoing the work if you don’t use it. Use in all caulking joints 1/2” deep and 1/4” wide, or larger. Available in a wide variety of sizes and shapes. Your logs are now “primed” and ready for chinking and caulking. There are 3 basic principles to follow when applying chinking or caulking. 1. A clean surface already treated with a preservative and stain that is compatible with the chink and caulk. 2. Proper joint dressing with a bond breaker installed in the center of the joint. 3. Tooling the chinking or caulking to ensure good adhesion to the logs. 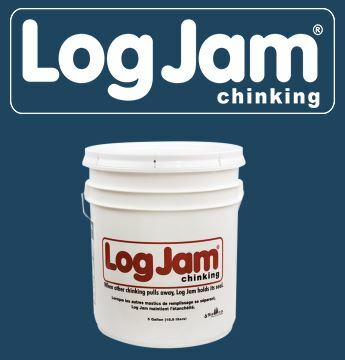 Log Builder was specifically designed to absorb log movement; it stretches and compresses up to 100%of the original joint size (+/- 50%) and stays elastic. Because of its superior elasticity, it provides a lasting seal which prevents water, dust, bugs and wind from invading your home. Use to seal around doors, windows, dormers, joints, between logs, checks and cracks. 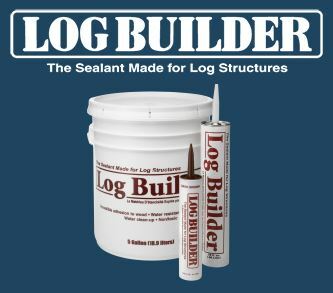 Log Builder’s water-based formula is low in toxicity and environmentally safe; and because it is water-based, it is easy to work with. The smooth consistency of Log Builder makes for easy gunning and tooling. We’re tired of seeing weird, shiny caulk all over wood and log homes, too. So, we quit using that stuff and use Conceal® instead. 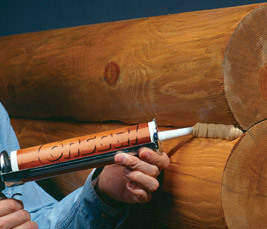 Conceal is the first caulk designed specifically for wood. It’s lightly textured to simulate the natural roughness of wood and comes in seven colors designed to complement the most popular wood stain colors. 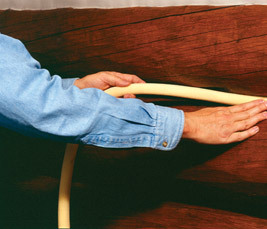 The caulking disappears into the woodwork and your home is sealed from the elements. 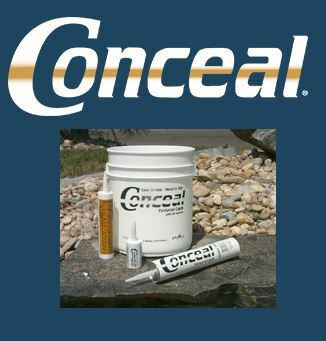 Stop staring at those funny-looking caulk lines and get some Conceal.